A remarkable, global union between uncompromising artists from the east and west is now a reality. 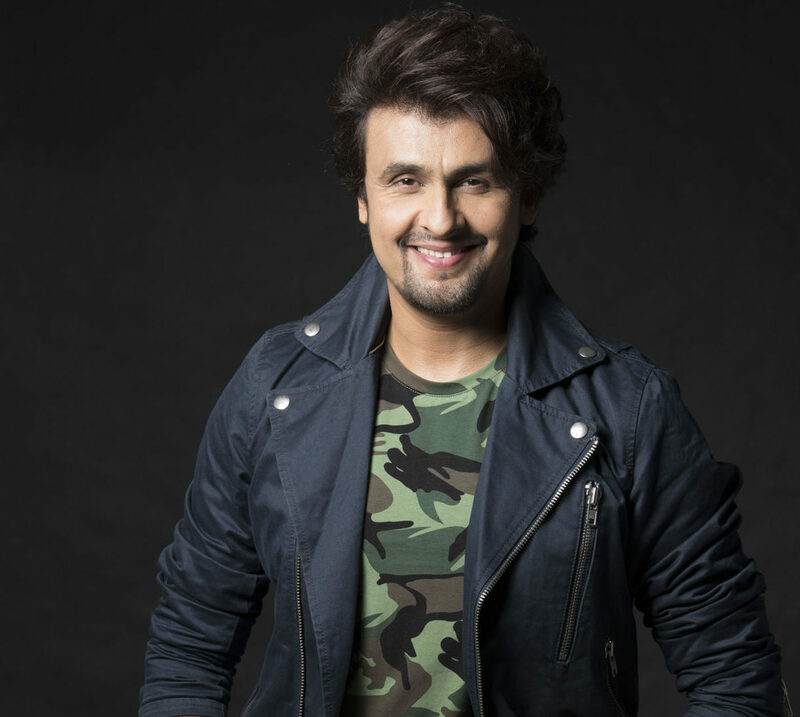 Internationally celebrated artist, Sonu Nigam, who is reverently described as the ‘Michael Jackson of India’ by his millions of fans worldwide and 11-time Grammy-nominated and Grammy-winning Producer/ Engineer, Jason Goldstein, have come together to create a hit in the making, Hall Of Fame featuring MC Yogi. Q. What motivates you to make music? Earlier it was zeal and desire to be famous and to make money and be loved by people. In those days, we used to think like that since we belonged to a middle-class family and I saw music as my career and wanted to flourish and succeed in it. Earlier, it was about being popular. Now the definition of music has transformed for me completely. Now I do music for the love of doing music. I have to admit that in between there came a point in my life where I was completely off music. Because I needed to keep doing my practice and keep up my reputation and people’s expectations and didn’t wanted to go to studio and sound like an idiot and incapable guy. But now I practice music because I really enjoy, love and cherish the fact that as long as I am alive I can think about music. Am enjoying this existence of being Sonu Nigam, who’s made up of so much music and I know I’d live forever so whatever time I am having on this earth I’ll give my respect to music and do my best. I have always worked hard, but now I work even harder, perhaps even more just because of sheer respect to my existence. Q. From where and whom do you draw your influences and influencers? Many, of course My father and mother stand number one as they were the first people I saw singing and they introduced me to great singer’s like Rafi Sahab and Kishore Kumar, Mukesh Ji, Lata Ji, Asha Ji, N Kumar Ji, Mahendra Kapoor Ji, KL Sehgal Sahab, Geeta Dutt Ji. And then I later on got inspired by Anup Jalota Ji, Pankaj Udas Ji’s ghazals, Talat Aziz Ji, Ghulam Ali Ji, Mehdi Hassan, mainly classical music. I have grown up listening to so many singers and so much music. In English music I was inspired by Michael Jackson, Whitney Houston and I was crazy about their music. I did adapt a lot of that music into my own style of music and have used the best from everywhere I saw. Wherever I heard music, I’ve learned something from it. In fact, I always admitted that ‘Is pyaar ko main kya naam doon…rabba mere rabba’ song has been inspired by Lucky Ali. I have sung the song the way Lucky Ali sings. So, my inspirations are many, from Sehgal Sahab to Arijit Singh to Armaan Mallik to Rahat Fateh Ali Khan to Nusrat ji to everyone. Everyone you see around is my inspiration. Q. What advice would you give to people trying to make it in the music industry today? Just follow your heart and keep practising. There is so much more to learn than one is capable of. Q. How does it feel performing live in front of thousands of fans? The feeling is surreal, it’s like when I perform on stage, I die. It still feels the same. But now it feels like an ‘alive death’. Earlier it would be a strange kind of a space where I’d find myself suddenly stuck to myself and only to myself. I would feel everything around me is listening to myself. I don’t know if it makes sense or not, but everything would become me. Now it’s no longer strange to me. The death is there but it has got a life now. It’s as if I am aware of death on stage and there’s a lot of gratitude. What I do before every concert is that I stand with my team and pray. It’s like an imaginative collective prayer where I seek the permission of the audience to entertain them. It’s a blissful moment for me. Q. Tell is a little bit about the story behind your new, English language track, Hall of Fame? Q. How does this new song compare to the rest of your accomplished body of work? I feel Hall of Fame is a very correct way of evolving as an artist. This is something that I haven’t done in past. Although, I’ve done English music in past but not of this level. There are lot of people worldwide listening to English music, in fact my son who is 11 years old knows all English songs and has a natural knack of English and American music i.e. International music. He is one of my mainstream audience, and the fact that he loved the song is very inspiring for me. This is the first time that he’s actually bought a song of mine. He also loved MC Yogi’s rap in between. So, in a sense Hall of Fame is different from what I have done before, and am glad people are loving it. Q. Does this mark the beginning of a new chapter for you, perhaps crossing over into the mainstream? I do not look at life like that. Everything happening to me happens because of something good or bad I’ve done in this life. In a simple language, it’s called Karma. Am glad that I could work on a song like Hall of Fame with such a talented team and the fact that we are receiving so much appreciation from it from all over the world makes me want to work even harder and better myself. Q. How was the experience of working with MC Yogi and Jason Goldstein on this track? I haven’t met MC Yogi as yet, but I would like to meet him very soon. These days because of technology you don’t get to see the person that you’re singing with. But Jason is the one who got us all together and I’ve met Jason already. Q. What can fans and audiences expect from this single? There would be many more coming in the future. My song with KSHMR ‘Underwater’ was one of the beginning of this phase. And hopefully many more to come.